Hackney E Domestic & Commercial Pest Management | Quality Property Care Ltd.
Quality Property Care Ltd. offers professional domestic and commercial pest control services to everybody in Hackney E and the area. We can take care of a wide variety of pests, including rodents, flying and crawling insects. The pest control specialists are all vetted, experienced and certified. We provide expert pest treatment, prevention and inspection at the best pest control price you can find. We take care of a wide range of pests. We are can remove several at once with the most effective pest treatments. All of our solutions are accredited. They comply with all PEST regulations for public health and safety. Quality Property Care Ltd. works quickly and discreetly to minimize the customer’s exposure to the pest. We offer regular jobs in home and office settings alike. We can accommodate the needs of large businesses and restaurants as well as residential clients. Bees, unlike wasps, are useful in farming and nature. For this reason it is illegal to exterminate bees. Quality Property Care Ltd. go the extra step and preserve the bees. We call a local beekeeper who comes in and carefully removes, if possible, the entire nest. He relocates it in its own bee hive somewhere where it’s safer for both property owners and pests. 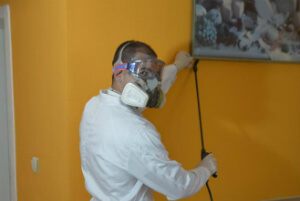 Encountering pest problems and in need of professional help? A professional pest removal service is here for you by Quality Property Care Ltd.. 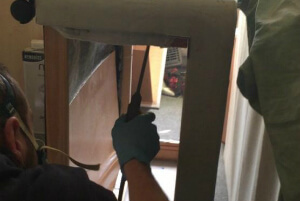 Call 020 3746 4287 and get the finest pest control technicians in the entire Greater London. We work safely and efficiently, to guarantee the security of your family and business. Call us at any time and get a free consultation, and for just a bit more get a 3 month guarantee.